Hello, I’m interested in 300 Smithfield Rd, Unit#p3-8 Unit P3-8 and would like to take a look around. 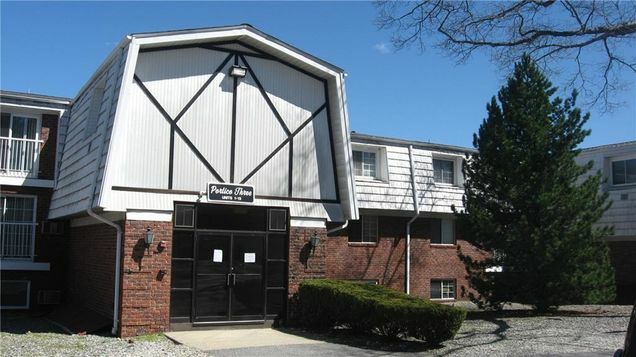 The details on 300 Smithfield Rd, Unit#p3-8 Unit P3-8: This condo located in Fruit Hill, North Providence, RI 02904 is currently for sale for $79,900. 300 Smithfield Rd, Unit#p3-8 Unit P3-8 is a 1,006 square foot condo with 1 bed and 1 bath. 300 Smithfield Rd, Unit#p3-8 Unit P3-8 is in the Fruit Hill neighborhood of North Providence and has a WalkScore® of 63, making it somewhat walkable. This condo is in the attendance area of North Providence High School. Listing Courtesy of: RIMLS and EXIT Realty Firm.